Manchester United have submitted a record-breaking bid for Kalidou Koulibaly. The Red Devils have been heavily linked with multiple top-class centre-backs in recent weeks, as they look to strengthen their backline come summer. While Koulibaly has been a long-term target on their wishlist, the likes of Raphael Varane and Toby Alderweireld have been associated with the Mancunian outfit off late. Now, reports from Italy indicate that the English giants have already submitted a gigantuous bid for the Napoli superstar. According to Italian outlet Corriere dello Sport, an offer worth £90 million (€105m) has been tabled by Manchester United for the services of the Senegalese international. This bid is far higher than the record fee of £75m that Liverpool coughed up to sign Virgil van Dijk from Southampton, and it would effectively make Koulibaly the most expensive defender in world football. 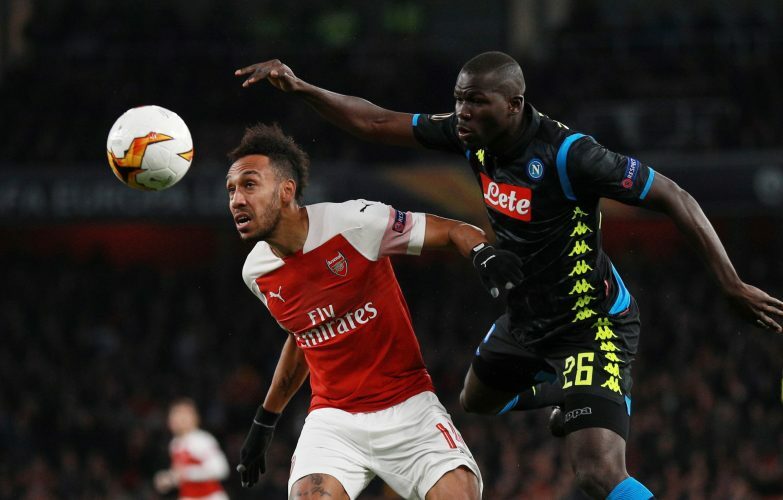 However, the submitted bid might still not be enough to seal the deal, as Tribal Football have claimed that Koulibaly’s current contract consists of a mammoth buyout clause worth £129m (€150m). Will the Old Trafford outfit’s powerful financial muscle prevail?